Have you ever wondered why the French have such incredible skin? The answer is at your fingertips. Literally. Everything about modern life is bad for your skin. Heating, air-conditioning, pollution, daily stress…without a little bit of TLC, the damage would go unchecked. 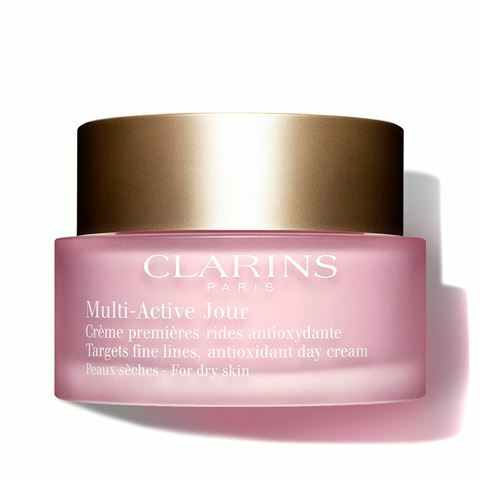 The Clarins’ Multi-Active skincare range seeks to erase fine lines and combat the first signs of ageing while fighting these everyday irritants, particularly signs of interrupted sleep and stress. Full of antioxidants and selected plant extracts, this range promotes youthful-looking skin – so you'll have one less thing to stress about! Targets fine lines while you sleep. New generation capsules of teasel extract with antioxidant and revitalising properties help your skin to protect itself. Myrothamnus extract minimizes the impact of daily stress. The look of fine lines is visibly smooth.